Certainly one of the most famous cars in the world today,the 1963 Aston Martin DB5 represents one of the pinnacles of car design, performance, and sheer speed that has impressed and delighted car aficionados the world over. The 1963 Aston Martin DB5 is a grand tourer in the luxury style that was manufactured by the Aston Martin Company as part of their DB line of vehicles. 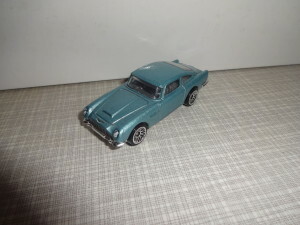 This was a successor to the DB4 models which had been quite popular. The “DB” stands for David Brown, who was head of the Aston Martin Company during that time. Of the many features of the 1963 Aston Martin DB5 are the all aluminum engine,durable ZF five speed transmission, and three SU carburetors which gave this series a boost in power over the previous DB4 line. Standard equipment included reclining seats, electric windows, two fuel tanks,chrome wire wheels,and even a fire extinguisher.All of the models came with two doors and four seats. The 1963 Aston Martin DB5 could attain speeds of 145mph and certainly made an impression. Of course, it is most famously known for being the 007 Aston Martin DB5 as driven by James Bond as played by Sean Connery in the 1960’s films “Goldfinger” and “Thunderball”.Later in the series,the James Bond Aston Martin DB5 was seen again driven by Pierce Bronson in “GoldenEye” and Tomorrow Never Knows and finally, by Daniel Craig in the remake of “Casino Royal”. It’s look was so famous that when Roger Moore, who played James Bond in the 1970’s to the mid 1980’s make an appearance in “The Cannonball Run”, he drove the 1963 Aston Martin DB5 that reminded viewers of his James Bond persona, although interestingly enough he never actually drove the Bond Aston Martin car while in the James Bond movies. There were three versions of the Aston Martin DB5, the first was known as the “Vantage”, which was introduced in 1964.It had even greater speed, although was not as flexible as the previous model. There were only 65 models of the coupe version produced. So it’s not surprising that there were only 123 models of the Aston Martin DB5 Convertible produced, they are also highly sought after, especially those built with left hand drive as only 19 of those were made. 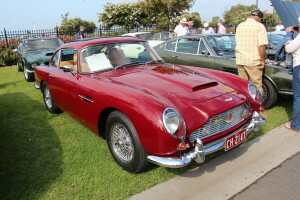 The third and most interesting of the versions was known as the DB5 “Shooting Brake” series.An estate car used mostly for hunting and could carry the equipment used in the rear of the vehicle; very few of this series were produced. It was made primarily for David Brown as he was an avid hunter. The value of the 1963 Aston Martin DB5, particular those that were used in the James Bond films have made them highly valuable and often go for an enormous price in auctions. In June, 2010 the DB5 that was used in both “Thunderball” and “Goldfinger” was sold at auction for over $4 million, making it one of the highest selling classic cars ever. The price for this Aston Martin DB5 in 1969 when it was purchased from the company was only $12,000. Given the reputation, style, and fame of the 1963 Aston Martin DB5, it’s sure to be worth more and more as classic car enthusiasts the world over are seeking to own this piece of automotive history.